Rural properties in Brazil must maintain a part of their total land area with native vegetation. These areas are called “Legal Reserves” (LR). However, many properties have yet to meet these requirements resulting in a deficit of LR. Established in 2012 by the Forest Code, the CRAs is one of the Brazilian law compliance mechanisms, providing more flexibility about compensation forms for the deficit in non-deficit areas. The Forest Code is the most important environmental law in Brazil, which regulates how soil should be used, how much forest needs to be preserved and how land can be used. The CRAs program eases the LR compensation via the creation of a market through which landowners, with LR deficits from as early as 2008, can meet their legal obligations by purchasing quotas from properties having surplus. This market mechanism also has the potential to generate economic incentives, thus becoming a very efficient conservation tool for native vegetation areas with high environmental value. On August 7th, 2018, CSF-Brazil, the Forest Code Observatory (OCF) and the Brazilian Biodiversity Fund (Funbio) facilitated the event "Dialogue on economic instruments and ecological identity for the Forest Code implementation". Forty-five professionals, representing government, research institutions and rural producers, attended this event in Brasília. The dialogue intended to provide a forum to discuss possible ways of implementing the provisions of the Forest Code (Law 12.651 / 2012), including economic incentives, LRs compensation and the ecological identity requirement for compensation - according to the ruling of the Supreme Court Federal Court (STF) in February 2018 - specifically for the CRAs market. On September 25, 2018, we organized a webinar with 12 government representatives of MA, BA and TO states, among others. We presented the results of our analysis on the effects of compensation areas restrictions in different scenarios of the CRAs market in MA. Participants then exchanged experiences and discussed the results of the study, possible trainings and ways of implementing the CRAs market. We launched a technical report "The CRAs Market in Maranhão State: Economic and Environmental Implications of Restricting the Market to Ecological Identity", to provide information and technical support to MA state regarding the implementation of the CRAs market. To facilitate communication with landowners and governments on efficiency gains from implementing a CRAs market, we published a two-page Policy Brief of our results. 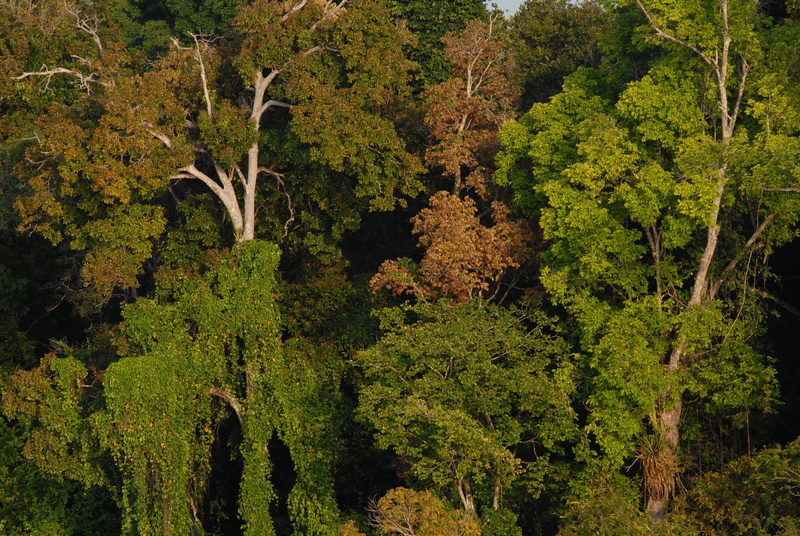 The data from our study is designed to support to the Amazon, Cerrado and Caatinga Brazilian biome protection, both by providing incentives for landowners in high biodiversity areas to not engage in agricultural production, and by allowing farmers in biologically low importance areas to fulfill their legal obligations for protection in areas where doing so will have a greater impact. Click here to read our full report, here for our Policy Brief, here for the OCF letter, and here for more information about our debate in Brasília. This project was developed in partnership with the OCF and Brazilian State level Environmental Agencies, with financial support from the Critical Ecosystem Partnership Fund (CEPF). For more information about CSF-Brazil’s analysis on different CRAs implementation scenarios in the state of Bahia, northeastern Brazil, please click here. Read about another study that aimed to identify the best practices for the efficient operation of the CRAs mechanisms within and among states here.